What I love about this strengthener is that it’s also a nail polish! It comes in several colors so you’ll be able to paint your nails, while also strengthening them. Sounds like a win-win! This polish is made with breakthrough oxygen technology, and green coffee extract, that’ll create gorgeous and healthy nails. #TakeABreather with this strengthener that’ll do all the hard work for you so can have long and strong nails. #Repost @internnails ・・・ ???? #barielle Diamond Shield Strengthening Nail Treatment is perfect for brittle, cracking and splitting nails to help strengthen & make your nails more flexible✨???? This formula is odorless and invisible. There’s no glossy finish so you can wear this without drawing any attention to your hands. Plus, it’s “diamond-hard emulsion” will keep your nails from breaking, cracking, and looking anything less than professional. Clearly, there’s a theme here with the word “diamond.” Not only does this Sally Hansen product strengthen your nails it stops breakage in its tracks! This Micro-Diamond and Titanium formula bonds to your nails and creates a barrier that ends breaking and peeling, so you don’t have to worry about ruining a fresh a manicure. ＊＊＊ ㅤㅤㅤㅤㅤㅤㅤㅤㅤㅤㅤㅤㅤ ベースコートってどれがいいのか???????? ㅤㅤㅤㅤㅤㅤㅤㅤㅤㅤㅤㅤㅤ #nailsinc #nailkalesuperfoodbasecoat ㅤㅤㅤㅤㅤㅤㅤㅤㅤㅤㅤㅤ スーパーフードのケールが 配合されたベースコート???? 乾くのがすごく早いから ストレスなく塗れるのがうれしい???????? 塗って何日かするとぺりっと 塊で剥げやすいのが気になるところ???? 色味はほぼクリア???? ㅤ @nailsinc.jp #ネイル #nail #selfnail #ネイルズインク #ネイルケールスーパーフードベースコート #ベースコート #basecoat #コスメ #ポリッシュ #マニキュア #ネイルアイテム記録???? Superfood? Yup, you read that right. Here’s a strengthener made with superfoods. This formula acts as a base coat and contains aloe vera, grape, Vitamin A, C, E, F, H. My my my! This strengthener almost sounds like a protein shake….except it goes on your nails, of course. Don’t drink it! @girlcrap shout out to this #opinailenvynailstrengthener for keeping my post gel mani nails shiny, strong, and break free! ???????????????????????? 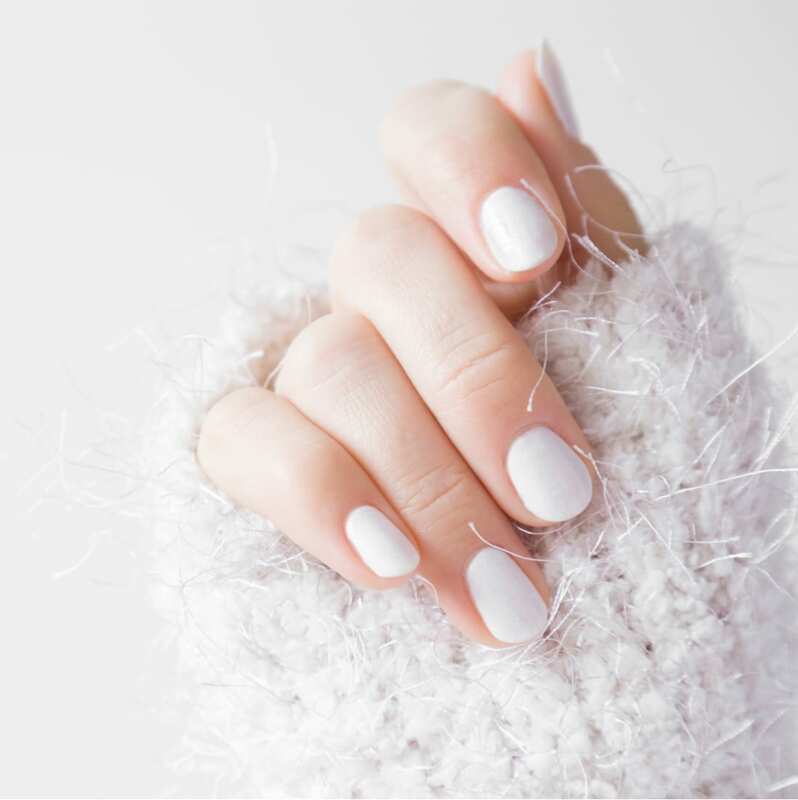 Mixed with hydrolyzed wheat protein and calcium, this nail strengthener will provide you with harder and stronger nails! Simply apply a couple coats to your clean nails every other day. It’s also a good idea to use this as a base coat whenever you’re painting your nails. If used correctly, you should see some growth in as little as two weeks! If you’re looking for a fast solution, this is the one! Some have seen results in as little as a week. Wow! Probably because this strengthener is made with keratin – a must-have ingredient for growing compounds. Keratin treatments are also great for hair growth, too. Just sayin’. What’s so great about this strengthener is that it’s packed with vitamins AND jojoba oil; making it just about perfect for anyone with brittle nails who are in desperate need of hydration. There’s also a nice coconut scent in this formula so your hands won’t smell so much like a chemical. Although this one isn’t necessarily a strengthener, it’s going to come in handy for your nails! This vegan supplement is made with a high potency formula that promotes strong nails (and hair). Biotin is always beneficial when you’re trying to promote growth. Remember that! This strengthener comes with a warning so you can pretty much bet it’s going to do some good! Made in Columbia, this hard intense formula strengthens better than anything out there (according to the reviews). With that said, this stuff is strong! When applying, you’re going to want to take extra steps to keep your hands protected, as well as the rest of your body and clothes.